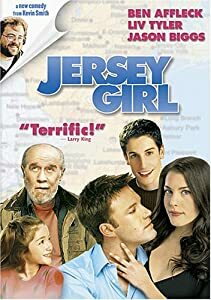 Last night Greg was working and I watched the movie “Jersey Girl“. I had recorded it a few days ago and was waiting for the right opportunity. Ben Affleck is really good in this movie. His seven-year-old daughter played by Raquel Castro is fantastic!! If you are looking for a great movie – this one might be it! It is a surprising father/daughter love story – with solid characters and a plot that will make you laugh and cry. After I watched it – I was curious about some of the songs from the soundtrack and went to look them up on youtube. Music creates a mood and can bring you down as well as lift you up. As I was discovering lost little gems like “Wandering” by Ben Folds and “Let my love open the door” by Pete Townshend, I saw on the right side of my screen the HILARIOUS song that opened the movie “Music and Lyrics” – a movie I absolutely LOVE! I watched it and found myself laughing out loud!! It’s so silly that it is impossible to feel sad when watching it! Here is a spoof on the 80’s band “Wham” with costumes, hair and gestures. And all who listened to music of that era will know and understand. Hugh Grant is SO FUNNY and I believe this is his best performance in a movie. If you haven’t yet seen it – here is a fun music video which opens the movie. Enjoy – and have a good laugh! Last week at choir practice our director had us sing this song called “You are my hiding place”. I had heard this before and it put me in mind of the movie about Corrie Ten Boom, “The Hiding Place” – about a family who hid Jews during the Holocaust years. The movie is about an ordinary family living their lives during WW11 – doing what they felt they had to. Eventually Corrie, her sister and their elderly father were imprisoned for suspected treason, although the Jews they hid in a secret chamber behind a wall in one of the upstairs bedrooms, were never found. While in prison camp, Corrie eventually received news that all the Jews they had hidden – were safe and had escaped. It was sent to her in secret code beneath a postage stamp. It is an amazing true story that will move you to tears in both the film version and the book. I love the end of the movie where they show the real heroes of the story in pictures alongside the actor who played them. And then there is a word with the real Corrie Ten Boom. She says she promised her sister (who died in prison camp) that she would tell of God’s great love and that “no pit is too deep that God is not deeper still”. I hope you will be inspired by this song, sung by Selah. And if you have never read the book or seen the movie, “The Hiding Place” – I hope you will check out this great and amazing true story that happened to ordinary people. I know you will be moved and be able to see God’s hand on Corrie’s life even while she was in prison – what a testimony she has been able to share with millions of people during her later years! Yesterday Greg and I had the opportunity to go to the theater in our town and see “Les Miserables”. I was really looking forward to it – because years ago we saw the stage production at 5th Avenue in Seattle. I remember the music being breathtaking if not haunting in its beauty. The story itself is all about forgiveness and redemption – one of my favorite topics. My favorite part in both the live version and on the silver screen is the scene where the priest who takes in the fugitive, Jean Valjean (played brilliantly by Hugh Jackman) – forgives and helps when Jean is caught stealing his valuables. When the police bring him to the priest – the priest simply says, “my friend, you forgot the most valuable candlesticks here on the table” It is very moving. And when the young woman played by Anne Hathaway who through a series of very unfortunate and I can’t help but think, very avoidable circumstances finds herself on the street in dire poverty, cold and illness – sings “I dreamed a dream” – I lost it. Her performance will win many awards, I’m sure. But after this point it became apparent to me that I would have to see this movie again some other time – in the privacy of my own home. You see we were sitting a few seats away from some teenage girls. The movie was long – they were bored and began giggling, laughing, checking their phones ( a real NO-NO in a movie theater) and when I could not take it any more the girl 2 seats to my right pulled out a noisy bag of CHIPS and began crunching them one by one – each time putting her hand in and out of the bag causing it to snap and crackle every few seconds. To say it was distracting and disrespectful would be an understatement. I could have made a stink about it – could have really caused a fuss and made it very awkward for the remainder of the movie – but I chose instead to practice patience and silence. My silence comes in part to a terrible experience of “shaming” that someone gave me years ago when I was checking an email in an auditorium before a show actually started. I don’t remember the circumstances except that it was not during any performance but clearly in a place that should not have bothered anyone. But instead of being treated with grace and tolerance – I was severely reprimanded by a very unkind lady behind me. I can’t remember exactly what she said – but remember how it made me feel. I felt like a scolded 12-year-old girl. I remember hearing this saying from years before: “It is better to discipline yourself to do the right thing than have someone else discipline you” (or shame you) – and I set out to always be conscious of doing and saying the right things as to not offend. It is no fun to have someone tell you that cell phones aren’t allowed!! So you can understand my hesitation in “shaming” the young ladies next to me. Now I know many of you reading this would have said or done something. And that’s okay. But most of the time it does not win a friend or go well for either party – and can cause serious division and hurt feelings. Silence, forgiveness and much grace is needed for some people in this life as demonstrated so eloquently by our leading man in the movie we were watching. And I will admit to you – I was angry. Movie tickets are not cheap – and we were really looking forward to this. And we expect common courtesy and find that it’s not very common at all. I had to fight my emotions most of the way through the long movie – and almost lost it a few times. It took everything I had within me not to at least SHUSH them with a BIG “SHHHHHHH”. But then I thought, “wouldn’t that be the same as what that lady long ago had done to me? How did that make me feel? Do I really want to be one of those? But don’t you and I have our RIGHTS? ” Yes. But that doesn’t make it right. Perhaps you are one that keeps order and makes sure that everyone is in “check” – but just make sure that as you feel compelled to do so – that you aren’t wounding someone with your words and actions. Is your comfort really more important than someone’s feelings? Is it worth it to burn that bridge? How awkward would you feel to come across that person in the lobby or restroom after the movie – especially if you had just LET THEM HAVE IT!! I thought about my silence when I went to the rest room afterwards. I actually did run into one of the young ladies. She looked at me shyly and smiled. And I remembered that as the movie ended one of the girls said rather loudly, “that made me cry”. I was angry at the time and wondered how she could have been still long enough to get the full impact of emotion – but you never know about some people. We are all different. We all process things at different rates. And just because she was chatty and noisy – doesn’t mean that she didn’t gain something beautiful from the film. And I hope she did. Perhaps she will learn to be more tolerant because I didn’t spoil the movie for her by “shaming” her into being quiet – and rising up to my standards. 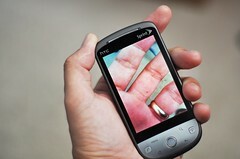 It seems to be an epidemic at movie theaters – especially taking out cell phones and checking them during a movie. I don’t think I’ve gone to one movie in the last 5 years that I didn’t have to see someone do this at least once. A few years back we bought tickets to go see a Christmas concert of Michael W. Smith here in Seattle. Same issue. People just couldn’t leave their phones alone. And then there was a fussy little girl behind me that had to have snacks. Very NOISY snacks – especially during the quiet moments. Not fun. Finally Greg turned around and got the attention of the Mom who didn’t seem to be paying attention to the noise – or was just used to it – and it helped but did not entirely stop. It’s hard to believe. I’m finding that I enjoy movies much more in my own home and from now on will REALLY have to love the movie in order to go to the theater. This is my “un” review – since it had way more to do with people watching the movie, rather than the actual movie! Happy movie going – I hope all the people sitting around you LEAVE THEIR CELL PHONES AT HOME. Greg and I went to see “The Vow” the other day. The previews were very compelling and the idea of the story was refreshing to me – but when I learned it was inspired by actual events, we had to see it. This movie is about the true life story of Kim and Krickitt Carpenter. You can see their story here: True Story of “The Vow” Two months after their 1993 wedding – an accident robbed Krickitt of her short-term memory. She could not remember being married – or even knowing Kim. Pictures did not trigger her memory – and finally a counselor suggested that Kim “date” her again. It was very discouraging – at first he tried pushing her into remembering – but it did no good. He did not give up and eventually she fell in love with him all over again. It is truly an inspirational story of a second chance and choosing to love again. I have always felt like the natural process of events – if we had the chance to go back and relive them – it would ultimately lead us down the same path that we are now on. I cannot prove it – because often times we think about going back in time with the knowledge that we now possess – and that isn’t fair, or realistic. It would lessen our regret – if we could really wrap our brain around this concept. Think about it. If you had no knowledge of events in your future and you were presented with the same events in your past – met the same people and walked the same journey – wouldn’t you have chosen the same things? Wouldn’t you have had the same experiences? Dated the same people? Walked away from the ones you should have? And even married the one you did? We cannot change the past. This is how it was for Krickitt. She did not remember being married. She didn’t remember him at all. But there was something she liked about him which was why she had chosen him the first time. It was just a matter of time. And when he stopped pressuring her – and just gently started to “date” her – everything changed and she had the chance to fall in love with him, naturally – through the course of time. Often times we “push” our own agenda because we think we know better. Every individual has to choose for themselves and experience the one moment that will ultimately decide for them – what is right. I have witnessed parents try to pressure their kids in and out of relationships with all their “knowledge” and “wisdom” – only to rob them of finding out through the course of time – what the right thing is for them. Sometimes when we are pushed we act in ways we would not normally. That undesirable boyfriend or girlfriend looks WAY more appealing when everyone is against them. It creates a “Romeo and Juliette” syndrome which is based in fantasy and emotions rather than clear-headed thinking. When people are left alone with all the options and are free to observe for themselves – often times the result is an “Aha” moment. Little quirks and habits they would never see while they are so busy defending would suddenly be noticeable. Things that they would not be able to live with would be plain. This story is incredible because this man had to do just that. Stop pushing. Let things run a natural course. Let her discover for a second time – why she chose him in the first place. And the funny thing – in the movie, she had been engaged to another man. When she lost her short-term memory – she could only remember the other man. She soon found out why she had left him before marrying him. Left on her own to decide for herself – it was only a matter of time when she discovered those things she couldn’t live with and why she had done what she had done the first time. So – the question is this: If you lost your memory – would you choose your spouse again? Why or why not? And if they lost their memory – would you be the chosen one? Do you push – or let things run a natural course of time – and just trust God? I found a wonderful rendition of the song, “Little Green Apples” written by Bobby Russell. 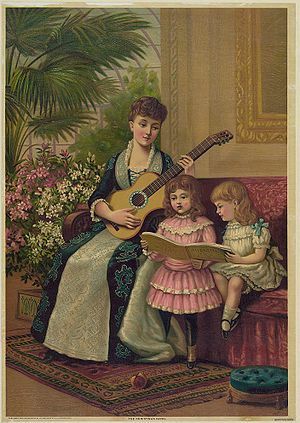 It has been sung by many artists over the years. I was a little girl in 1968 when I first heard it – and I haven’t heard it in maybe 40 years. I was reminded of it again in a movie I was watching last night – where a woman in a long-term marriage turns to her husband and asks him if they have had a good marriage – in much the same way that Tevye asks Goldi in “Fiddler on the Roof” – ‘do you love me’? His response to her was that no matter what – he has always come home to her. 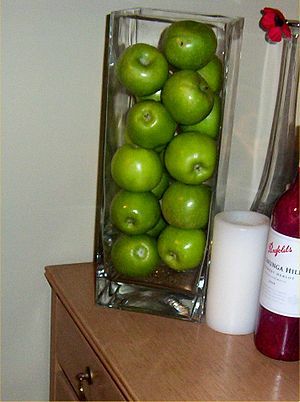 He says, ‘It’s kinda like that song, “Little Green Apples”‘. It made me want to look it up again and see just what he meant. Well now I know – and if you have never heard this song before – so shall you. Here is Glen Campbell singing with his daughter in a rare stage appearance – I thought it was awesome. Enjoy – and today I wish for you a love like the lyrics of this song. While the kids are goin’ off to school, goodbye. And squeezes it, and says how you feeling hon? That warm my heart, and I see my morning sun. And it don’t rain in Indianapolis in the summer time. I think about your face aglow and ease my mind. Sometimes I call him up, knowing he’s busy. Maybe grab a bite to eat. Hurries down to meet me, and I’m always late. Cause he’s made that way. And it don’t snow in Minneapolis when the winter comes. Puppy dogs or autumn leaves, no bb guns. You will notice that with any tune associated with forbidden or unrequited love – there is an underlying sadness and pain that is tangible in the melody line. Song writers seem to use a minor key to convey the melancholy feeling that they are feeling. I have written songs that are like this about something poignant and cannot be described in any other way – a sweet and sad melody. 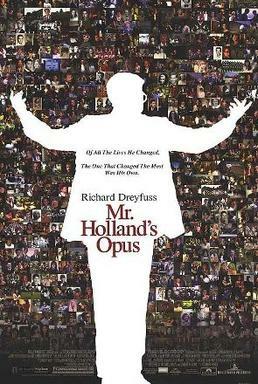 In Mr. Holland’s Opus – the lead character, a high school music teacher finds himself drawn to a high school student who clearly has a crush on him. It is during a time in his life – mid-life, where he is caught in the every day monotony of his life – with no challenge and no meaning – until this young girl walks into his music theater program. She auditions and has the most incredible singing voice and is cast in Mr. Holland’s musical about George and Ira Gershwin. Her name is Rowena. It is during rehearsals that he finds himself fascinated by her – and her to him. She hears him playing this song on the piano and she begins humming a haunting melody line while he is playing. It moves him and he goes home and entitles his piece, “Rowena’s Song”. No – Mr. Holland does not cheat on his wife. He is clearly flattered by her attention and admiration – but in the end, though tempted – he turns her away and goes home to his wife. This is the remarkable part of the story. The sadness and the joy. The strength of character and the amazing love for his wife that is greater than any temptation. In this song – you can hear the sadness and the resolve. My favorite part of the movie. I hope you will be inspired and moved by its lovely melody. And I highly recommend the movie “Mr. Holland’s Opus” if you have never seen it.